Enjoy outdoor activities? Join us! 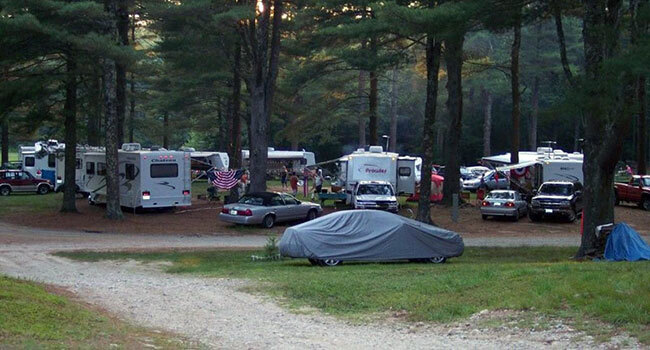 Circle “C” Campground… where a family atmosphere and non-stop fun go hand in hand. 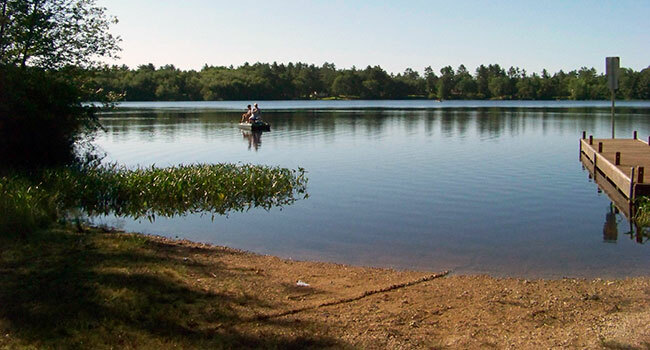 Our natural setting, near the shores of 83-acre Bailey Pond in northeast Connecticut, presents the perfect opportunity for your family’s outdoor enjoyment. 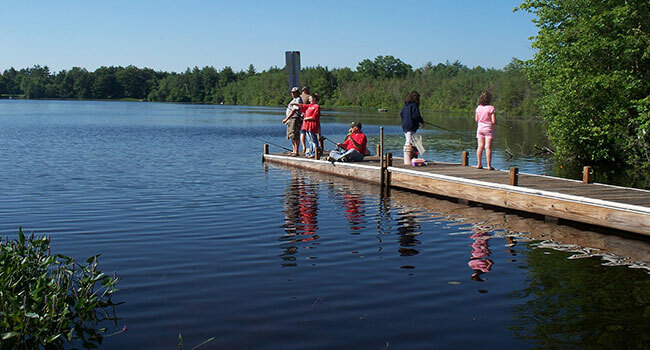 You can launch and store your boat, or rent one of ours, to try your luck with some of Connecticut’s finest bass fishing. If you prefer, you can take a refreshing plunge into our clean, spring-fed swimming pond. 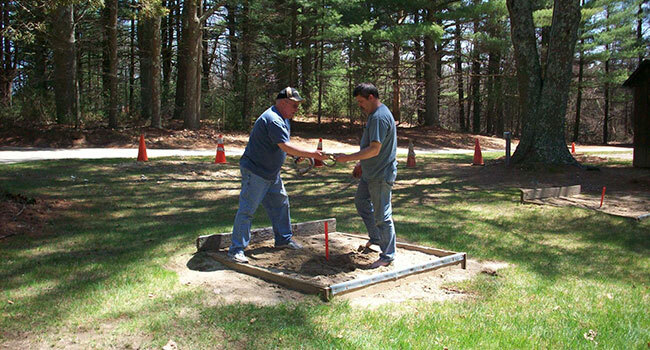 Organized activities for all ages abound at Circle “C”, with everything from hayrides to horseshoes to suit the tastes of everyone in your family. Join us this season… and join in the fun! Pine-shaded or grassy sites. Water, electric, & cable hookups. 30/50 amp service available. Rustic cabin rentals. Group camping area. 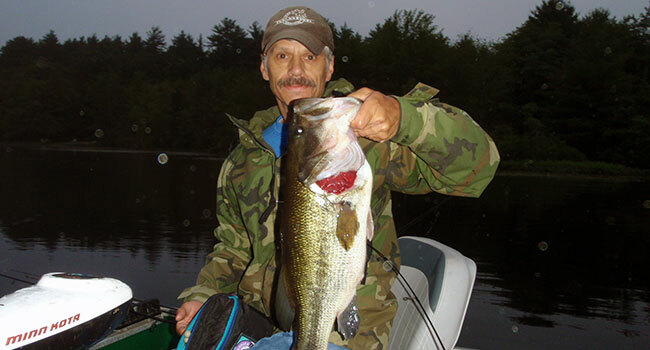 Bailey Pond, in northeast Voluntown, Ct, offers bass fishing that is rivaled no where else in Connecticut. In the heat of the summer, there is nothing better than refreshing yourself in our clean, man-made, spring-fed swimming pond. 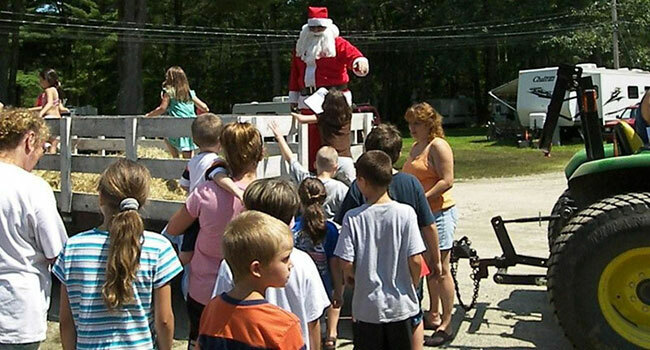 Your whole family will enjoy the activities we have planned throughout the season, including crafts, bingo, breakfasts, cook-outs, pot-luck dinners, and many more! Just lock him in the RV, he'll be fine, they said. Are you booked for Memorial Day yet? So how much will it cost me to go... Special rates !!! Good luck and have fun this weekend. Let me Know how Kalli does. That’s my goal this year work less and play more with the family. Counting down the weeks. Can't wait until I'm counting down the days !! Merry Christmas everyone at Circle C Campground! 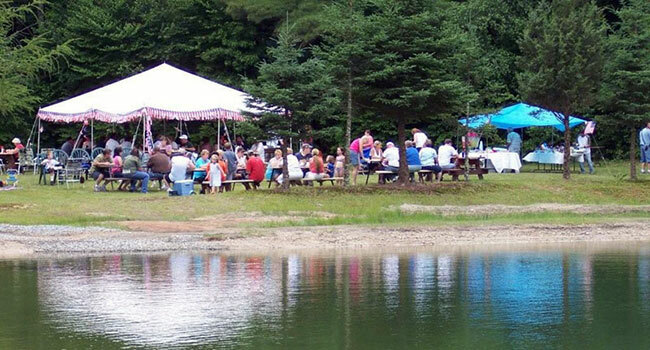 Circle “C” Campground – Where a family atmosphere and non-stop fun go hand in hand! all seasonal information available from the office. Air Conditioners are an additional $3.00/Day. Electric Heaters and Outside Refrigerators are not allowed. Check-in time is 3:00 PM and Check-out time is 2:00 PM. Early arrivals or late departures are subject to $10 fee. Permission for early arrivals or late departures must be obtained through the office, as your site may already be reserved. Circle “C” Campground has two rental cabins. The cabins are one room rustic cabins that have wooden bunks and a counter, and no electricity or water. 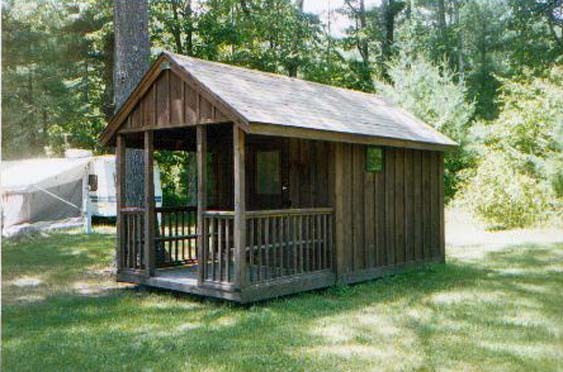 These cabins sleep five and are conveniently located near the bathrooms. The cabins are essentially like tent camping, and for your comfort we recommend bringing air mattresses. You must bring your linens (pillows, towels, bedding, etc.) and anything else you may need to make your stay more comfortable. Pets are not allowed in any of our rental cabins. There is a two night minimum stay in all cabins. Cabins are $50.00 per night, or $300.00 per week. Holiday weekends are $55.00 per night. Cabins are also subject to Connecticut tax per night. This rate is per family unit. Only one family is allowed per cabin, or a maximum of 4 adults. 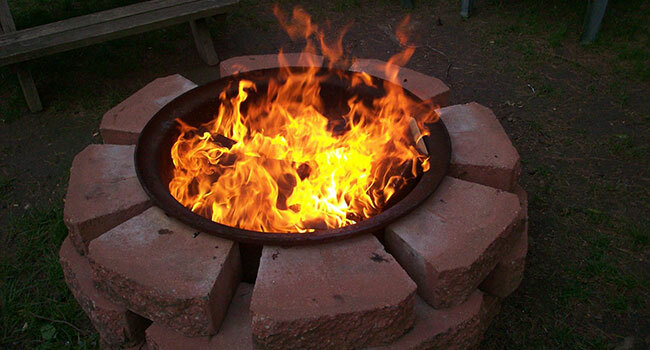 All cabins have a fire ring and picnic table on the site. Reservation and refund policies for cabins are the same as for regular campsites. Please note that rental cabin check-in is 3:00 p.m. and check out is 1:00 p.m.
One night deposit required when making reservation. The deposit is due within 7 days by check or if you are using a credit card, we will charge your card on the day you make your reservation. Holiday weekends: 3 night minimum stay to be paid in full within 7 days by check or if using a credit card the 3 nights will be charged at time of reservation. PERSONAL CHECKS WILL NOT BE ACCEPTED AT CHECK IN, cash or credit/debit only. If you prefer to pay by check please pay in full at time of reservation. While we do our best to honor requests for specific sites, we do reserve the right to make changes when necessary. Non-Family Unit: Rate is for 2 people, all others pay a guest fee if they stay in your tent or camper. When they set up their own tent they will pay a tent site fee. Maximum of 4 people and EVERYONE must be 21 years old to camp without their parents on the site and may be required to show ID. Add $2.00 to visitor rates on Holiday weekends. Visitors checking in after 8:00 pm will be charged the overnight fee. If you check out before the store closes you will be refunded the difference. 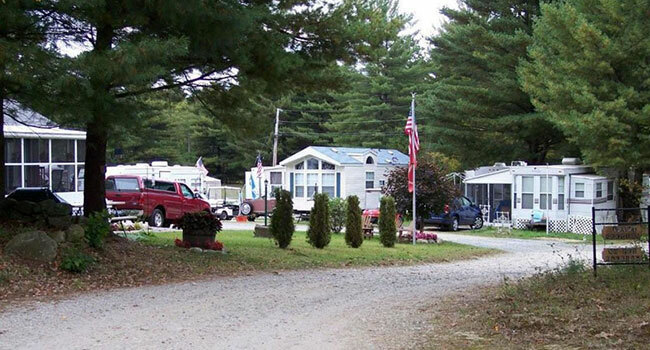 Overnight visitors: if you stay in the tent or camper of person you are visiting; you pay the regular guest fee. If you are putting up your own tent on the site of which you are visiting, you then pay a tent site fee. Visitors are not allowed to bring pets. *No need to pull it back and forth. 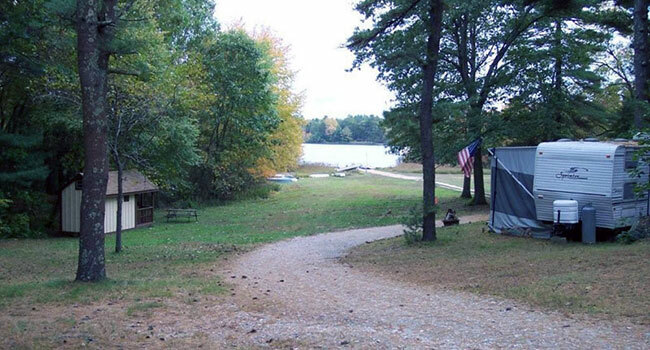 Spring Special: Camp the first 6 consecutive weekends (April 19 – May 27) for $550.00. This includes Memorial Day Weekend. This Does NOT include weekdays. Excludes all other discounts. 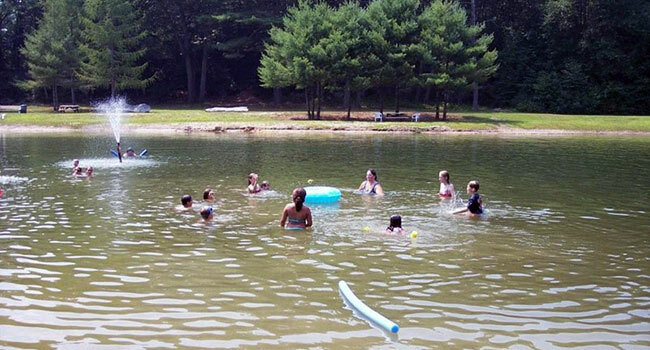 Fall Special: Camp the last 6 consecutive weekends (September 6 – October 14) for $550.00. This includes Columbus Day Weekend This Does NOT include weekdays. Excludes all other discounts. July Special: Camp June 28 – July 7. That’s 9 consecutive nights for $350.00 including July 4th, or on a tent site (no water/electric) for only $295.00. Excludes all other discounts. Best campground around! Big, clean sites. Always quiet, relaxing and enjoyable! We love it at Circle C. We have been coming here every summer for years now. Mikki and Keith are awesome! Circle C is a great place, swimming pond is amazing, huge separate pond for fishing, canoeing, kayaking, etc. Big sites, tent sites, wildlife too. Quick easy ride from RI into CT. Great events too, horses races, bingos, cards, ceramics class, arts and crafts, dances, etc. Come see Keith on his "big green tractor" taking care of the place. Mikki is the great organizer of events and tries to make sure everyone is happy. We will be back! Great people through out the campground . Owners are very nice. Great fishing in the pond & the swimming pond is quite refreshing. Just upped for another two weeks !! owners are very friendly they accomodate our camping needs hook us up with water, electricity and cable Mikki and Keith are very nice great fishing place very peaceful and quite. Been coming here for many years. A nice family friendly campground. 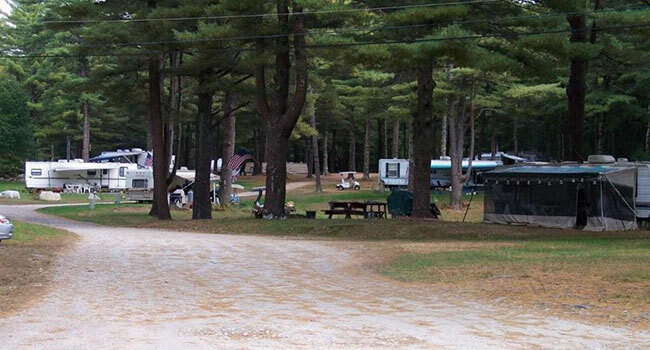 Beautiful campground that makes you feel at home. Perfect campground for the kids. We would love to hear from you. You can also request a site reservation.